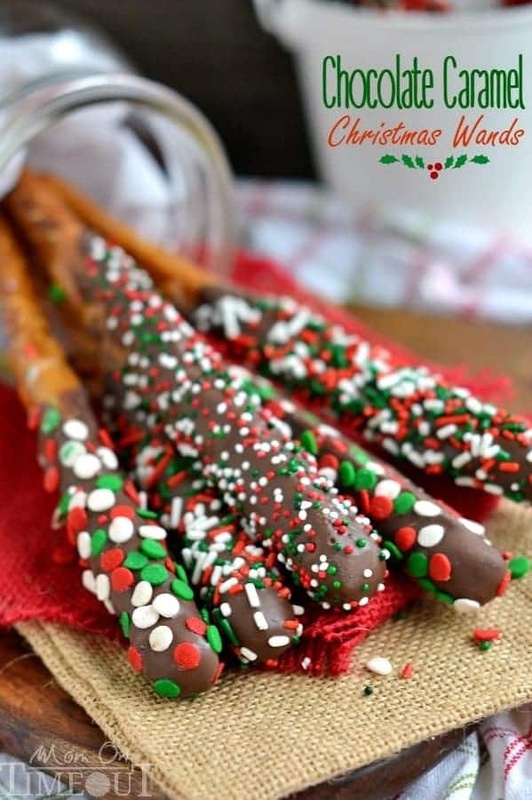 Chocolate Caramel Christmas Wands By Trish | Mom On Timeout. Chocolate Caramel Christmas Wands are a breeze to make and are perfectly festive! Great for gift giving, parties, and more!